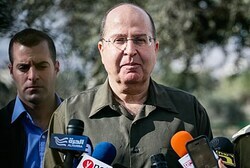 The comments quickly elicited criticism from the US as being “offensive and inappropriate,” and in response Yaalon apologized on Tuesday for any offense but never denied he had said the words attributed to him, or took them back. Reportedly, the White House expects Prime Minister Binyamin Netanyahu to condemn the comments as well. However, Chen comments that Ya’alon’s statement was on the mark. “We have to separate from the people the exile gene, stemming from our father’s fathers who had to buy security from the Polish nobles,” added Chen. The general referenced the plight of Jews expelled from Gaza and northern Samaria (Shomron) during the 2005 “Disengagement” plan forced through by former Prime Minister Ariel Sharon. Of the roughly 9,500 expelled Jews, around 50% were still homeless in mid 2013. “Everyone understands that if they failed when they faced a few thousand expelled Gush Katif residents, it goes without saying that they shouldn’t even dream of evacuating Judea and Samaria,” argued Chen. “I found quarry land next to the community of Kedma (near Netanya), and proposed that it be given to them to lease to one of the large international companies to produce energy, solving an existential problem for generations and saving the country hundreds of millions of shekels in compensation,” added Chen.